All the bloggers try different method to get more and more traffic to their blog or website to earn more and more money in less time. Many bloggers succeed in doing this because they owned a paid domain and good quality blog. But the major problem of traffic is to those bloggers who does not want to or have paid domain and works on the sub-domain like myself. For those types of bloggers all round the world I have this wonderful article explaining all about how to drive traffic from their own school or college they study in or graduated from. If you are a student in any school (a well equipped school) then you can start your own blogs which contain study material, Notes, School Functions Dates etc which can be helpful for both you and your school. For having blog for school level it’s not necessary to have a paid domain but it’s good if you have a small blog URL which will help more and more students to remember it and open it as much time they want. Generally, Schools have their own website for detailed information of happenings and cultural programs that are been held in school or by the school. But many of the school do not provide this facility. So, you have the best change to make some good reputation in school and earning while helping others. A School blog or your personal blog having the information about your school happening should have its proper logo, Name and address. You can make any type of blog like proving your own class notes or you can also hire some other class students to post in your blog to get more students engaged to your blog. After you have created your fully operational blog then you can visit your Principal and tell him/her about your blog and how can be beneficial for your school studies and other things. Then you can set the home page on every computer in your schools computer lab to your website address. This way you will hit’s every time a student or teacher opens the internet. And if your blog is really good then you can refer it to other students directly to open your website in their home also. Moving to college level, here the things are totally different from school level promotion because in collage you have students from outside state also. So, most of them relay on website only for studies. College is the best place to get more and more traffic every day if you have a blog relating to college studies. Many Blogger think that other website like Download Music, Watch Online Movies will work in college they are wrong. If you want to be a success in your college in terms of blogging then it’s good to have the studies relating blog. You can make the blog on same concept as the school level blog but it will be quite different. Here you have to make department wise articles for every one so you can hire some students of different department to publish articles on your blog. After you have created a well planned blog for college then you have to follow the same procedure like in school blog. First you have to explain the concept of your blog to the HOD (Head of Department/Vice Chancellor) and how it is beneficial for students of your department and other departments too. If your HOD allows the blog then do the same just visit the computer laboratory and set the home page as your blogs address. Mostly all the time you will get hit’s from your college students rather than School students because in college the computer are 24 hours available and used most of the time. Most of the time before starting these types of blog people surly things that if there is money in these types of blog. But let me relief on that, there is a whole lot of money in these blogs because the area that you are targeting is most active and highly socialized. Now a day’s Most of the students relay on online studies rather than bookish students. And as long as you get hits you will make money for sure. Hay, I am Benny Mathur writer of this article. As you all know as fast as the modern technology evolves thus the use of internet. And Students are on the top of the list in using internet. So no doubt there is a whole lot of scope in blogger for schools and colleges as long as your content is unique and informative. Now copy and paste blogs are not used to make money as the new generation is well aware of that. Very Great and informative blog. Keep posting such articles! Nice one, and thanks for the post. we should't forget getting links from Edu Blogs, that'll definitely improve blog ranking as well as traffic from educational sites. Very interesting & useful article. Best idea for the students who blogging. This is really a nice Tricks. 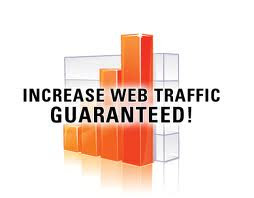 I should not say this as a tricks but awesome tips to increase the traffic as well as revenue. Promotion in the college is the best option. If you have any education site then your college department can also help you in this part. Great Article Thanks For sharing With Us..